The Samsung Galaxy S8 Plus is officially here along with the Samsung Galaxy S8. 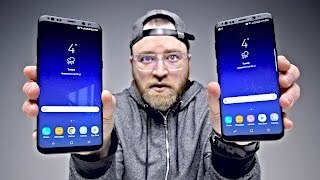 There were rumors about Samsung planning to drop the plain version and switching to only Edge versions which is how we got the Samsung Galaxy S8 Plus instead of an Edge version. 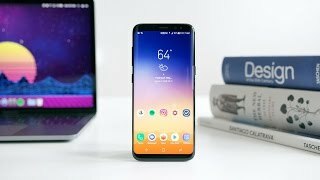 Most of the times the annual updates of most of the flagship phones doesn’t really offer a lot of changes but this is definitely not the case this time. To find out more about this upcoming phone including the Samsung Galaxy S8 Plus Nigeria price, continue reading. On paper, the rear camera is almost similar to the ones we saw in the Samsung Galaxy S7 Edge. However, don’t let that fool you as there are some new features and improvements. It’s capable of capturing even better pictures in low light thanks to the 12-megapixel Dual Pixel Sensor. Users can also take multiple shots at the same time and then combine them to get one high-quality picture. The front camera got an upgrade and is now an 8-megapixel one with F/1.7 lens and Smart Auto Focus. 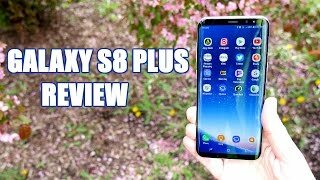 Things are looking good in this department and we will be able to find out more after the Samsung Galaxy S8 Plus release date Nigeria. Right now, the iPhone 7 Plus and Google Pixel XL are two best camera focused smartphones available that you can check out which are also almost in the same pricing range as the Samsung Galaxy S8 Plus Nigeria price. This is the part that didn’t change much, the price tag. It’s still quite expensive and it will cost around 393700 ₦ right after the Samsung Galaxy S8 Plus release date Nigeria. If you intend to buy one, you won’t have to wait for too long as it’s expected to be available sometime after April 21st, 2017. Samsung is planning to ditch the Samsung Galaxy S8 Edge model this year. 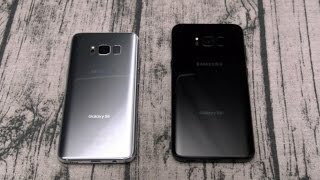 However, the Edge display lovers will get the curved display in the as the normal version this time which means the S8 won’t show up with a flat screen. We will be getting a bigger version this time titled as the Samsung Galaxy S8 Plus. 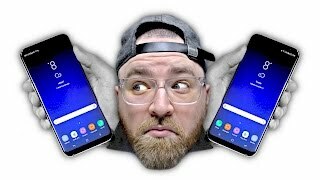 A lot of changes are expected in design so it will be really interesting to see what the phone has to offer after the Samsung Galaxy S8 Plus release date Nigeria. To find out more about the phone including the Samsung Galaxy S8 Nigeria price, keep reading. It is not too difficult to guess from Samsung Galaxy S8 Plus’s name that the phone will be big. However, it’s going to be massive and bigger than even the Samsung Galaxy Note 5 and will feature a 6.2-inch curved screen showing 2560 x 1440 pixels resolution and 474ppi of pixel density. It still won’t be too massive in size compared to other smartphones in this series as the extra screen will be replacing the traditional navigation keys. This screen size will lead to a weird aspect ratio: 18:5:9. There won’t be a home button as well and the phone will be 7.9mm thin. 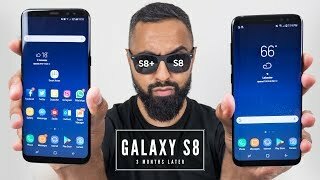 It’s expected to show up with some changes in design as well which will be interesting to see after the Samsung Galaxy S8 Plus release date Nigeria. The Samsung Galaxy S series is always a safe bet when it comes to the camera. We loved the camera included in the Samsung Galaxy S7 and S7 Edge and things are only expected to improve further in the upcoming S series phones. Dual cameras are becoming the new thing and the S8 Plus is expected to include dual 12-megapixel cameras as well. Features like 4K video capturing, dual video recording, OIS and LED flash will be included with the rear camera. The front camera will be a good 8-megapixel one as well and will be capable of dual video calls. That’s all we have learned so far. It will be easy to compare its performance with the likes of iPhone 7 Plus and Google Pixel XL after the phone is officially here. These are almost in the same pricing range as the Samsung Galaxy S8 Plus Nigeria price. This is where things might turn into a deal breaker for some people, the price tag. The Samsung Galaxy S8 Plus will cost around 344500 ₦ when it’s here. 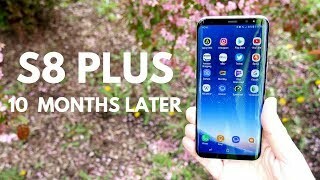 It might cost even more right after the Samsung Galaxy S8 Plus release date Nigeria which is expected sometimes after April 21, 2017. The adaptive fast charger for s8 8+ 9 note 8 type c cable Mobile Phone is manufactured by Samsung and was added around January 2019. The best price for the Samsung Adaptive Fast Charger For in Nigeria is ₦ 4500 sold at Jumia and available with free shipping and delivery within 1-6 Days (Fashion Items) 3-8 Days for other products. Price has increased 39900% from ₦ 2500 on 2019-01-04 to ₦ 1000000 today.